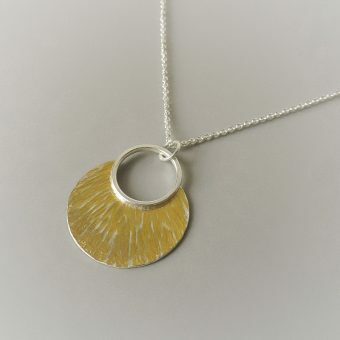 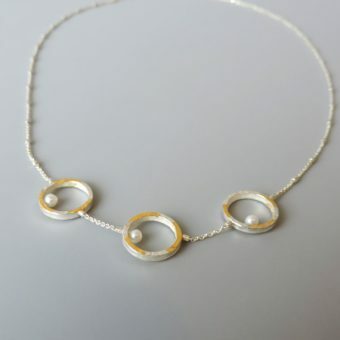 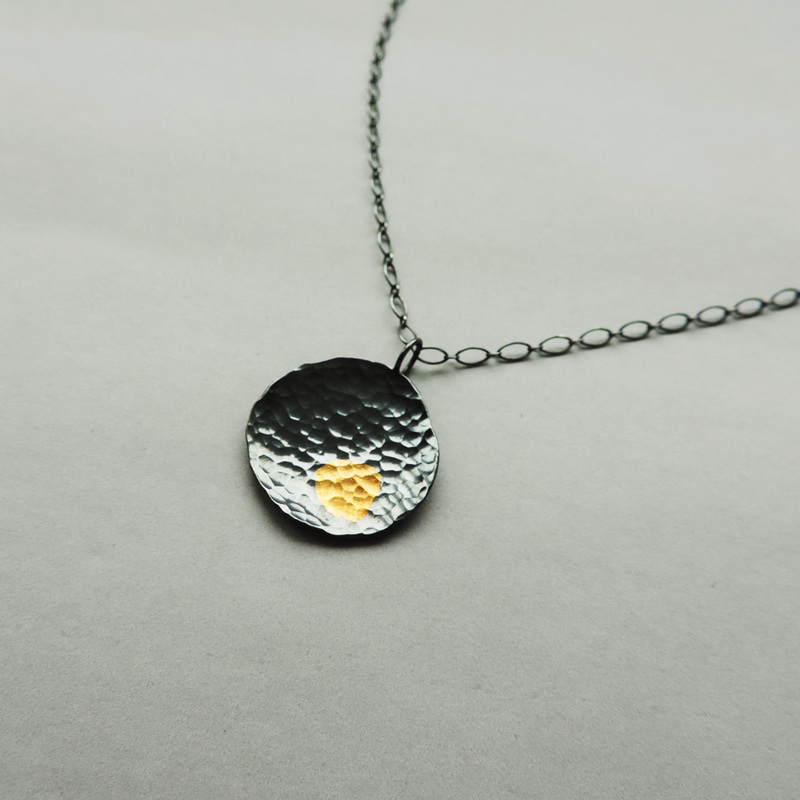 A mysterious and modern necklace for women to wear everyday. 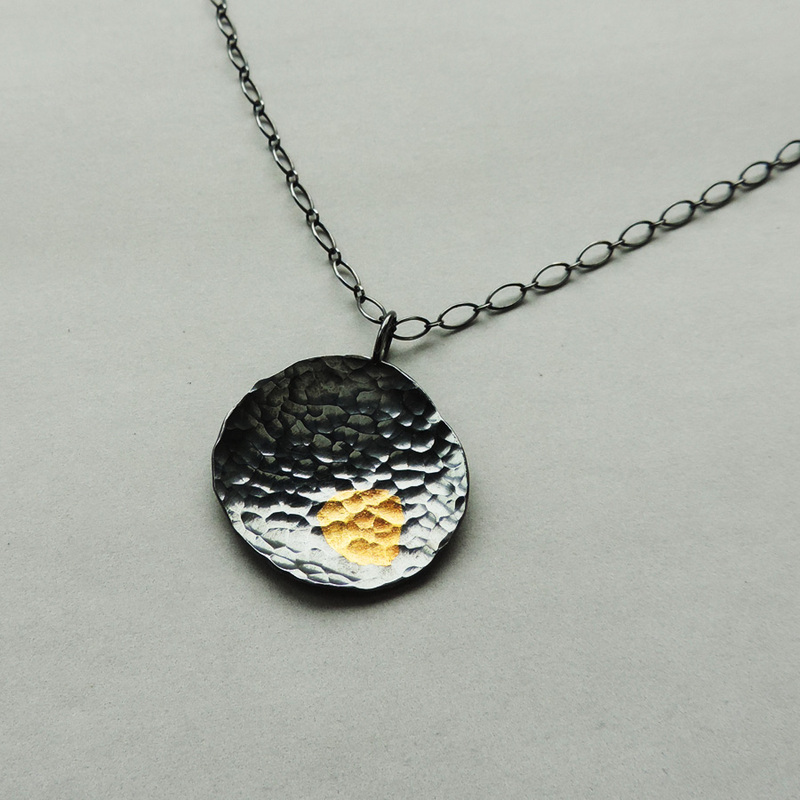 Handcrafted from sterling silver, 24k gold keum boo and finished with a dark patina. Hangs from a 20 inch chain and the pendant measures 1.5 inches long. 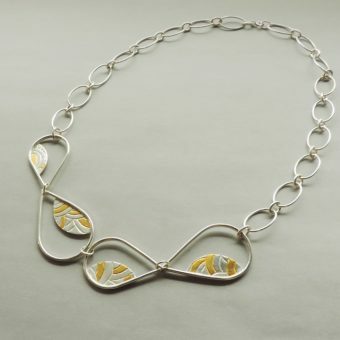 A unique and beautiful necklace perfect for wearing from day to night. 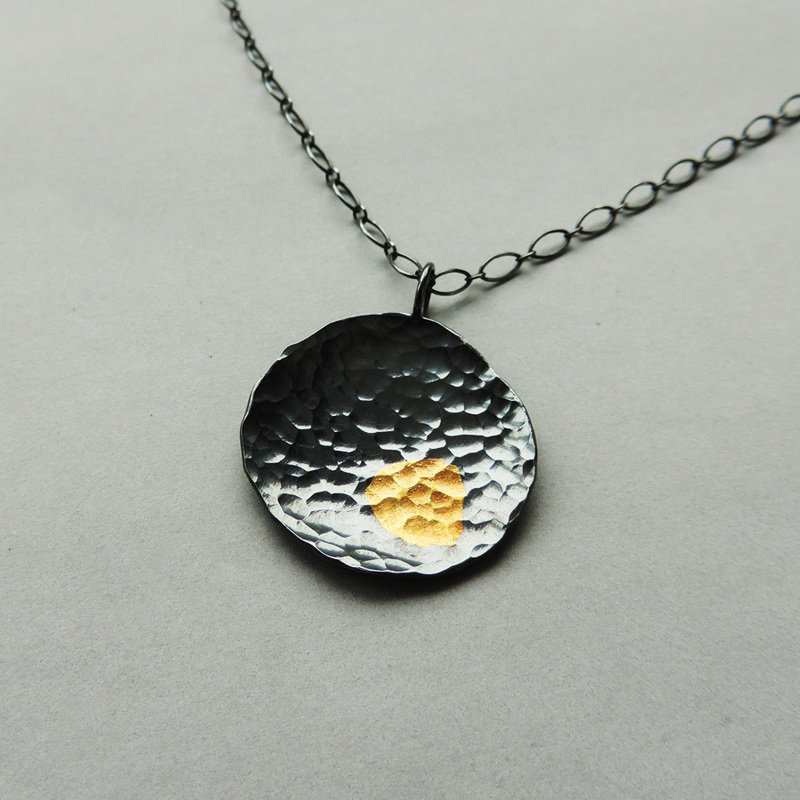 Made from sterling silver and 24k gold keum boo and finished with a dark patina. 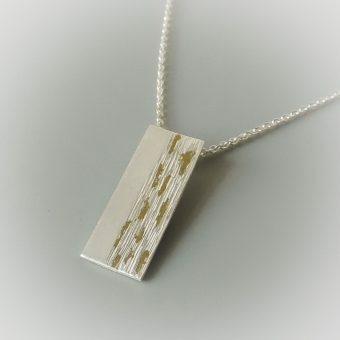 Measures: 20 inch long chain and the pendant is 1.5 inch wide.